Wishing everyone here an early MERRY CHRISTMAS! Tonight is our Christmas Eve service at church, and I'm providing a piano solo as special music. In a break from the past, we're not visiting my brother tomorrow (he's got too much going on with his family), so we're opening presents and making a big breakfast. Then we'll go to church again, followed by an open house with some friends. They make a drink called a Red Rooster for it -- I've never had one but they say it's really STRONG. (Good thing my husband doesn't drink, he can be the designated driver!) After all that, we've got tickets to see "Mary Poppins Returns." May those of you struggling because of missing people, or just because.....know that you are loved. Clay, thank you for bringing so many of us together, and I hope you have a great last week for the show, and that the new year brings you all you want. Yay! I received “The Children of Harvey Milk” from my husband. Can’t wait to read it! Merry Christmas to all. Waiting for my family to have breakfast with us. Unfortunately it is already 2:15 pm. Finally cooked something for us, but now feel like I'm coming down with a cold. Haven't opened our gifts yet. I'm ready for bed again. Ha. Typical day waiting for granddaughter. Stole from another site. Hope everyone is having a great day! Fear, hope everything turned out OK today and that you feel better soon. For the record, Mary Poppins Returns is very cute. Not mych plot, but tge music is great, and much of the cinematography is awesome. Feel better today. Everyone left at 10 after a hint from husband. Very nice gifts. Right now listening to a Maria Callas CD. Love her dramatic voice. Guess I won't make it to NYC t.o see Clay and Ruben this time. Hopefully I'll have other chances. Good pictures of the cast on this one (scroll through the pics to see them all). 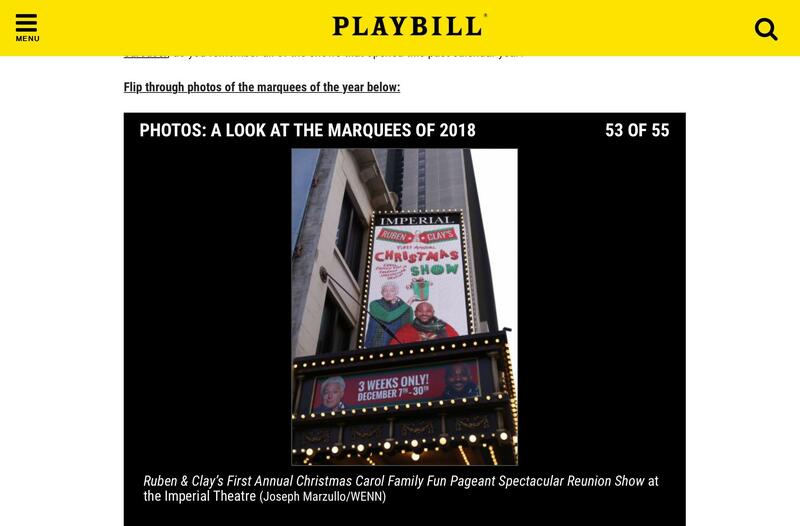 The Ruben and Clay marquee is featured in this Playbill tweet/article. Good review of the show. Full text in the news section. Could be a hard day for Ruben. It’s sounding like the shows today were excellent. Clay didn’t do the stage door this afternoon, but did tonight. As per my tradition around here, I like to post the 2018 timeline from here at FCA. It just goes to show how much Clay does in a year, and reminds me of all the good times. On to 2019, and hopefully much more for Clay! January 13 -- Quiana Parler's band, Ranky Tanky, has a gig in New York City, and Clay attends. January 18 — Clay attends the Broadway musical Waitress with Meghan McCain. Jason Mraz and Sara Bareilles are the stars for this showing. January 19 -- After a few weeks off, Clay's back on Bold Blend. Guests include John Fugelsang and the co-CEO of Archie Comics, talking ant-bullying with Clay and the National Inclusion Project. January 24 -- A Mention of Clay on The View today; Meghan McCain mentioned that Clay went with her to her doctor's office, where she got a mammogram. He's such a good friend! January 26 -- In a change of pace, Clay cohosts Bold Blend today without Carrie Sheffield, but with guest hostess Morgan Ortagus. Guests include conservative vloggers Diamonds & Silk, and actress Katherine Herzer ("Madame Secretary"). February 2 — Carrie is back with Clay! Topics include the State of the Union address and Dreamers, the last part with Black Panther star Bambadjan Bamba. February 9 -- Bold Blend discusses a variety of issues, including this week's volatile stock market (with Rep. Claudia Tenney of the House Financial Services Committee) and the legalization of marijuana. March 9 -- After several weeks off, Clay is back on Bold Blend! There were several issues discussed, including the Oscars and LGBTQ representation, and also immigration (with the lawyer who represents Melania Trump). March 16 — A wild week in Washington means a wild Bold Blend! Topics include the special election in Pennsylvania and what it means for both parties, and the book “Call Me By Your Name” with author Andre Aciman. March 22 -- Clay and Meghan McCain attend the Broadway premiere of Frozen. Both Clay and Meghan posted on Instagram about it. April 6 — Bold Blend has Clay and Carrie back together again. Topicsinclude free-range parenting, LGBTQ candidates and representation in the government, snd US/North Korea relations. April 10 -- Clay and Ben Cohn attend a David Foster concert, held at the Town Hall in New York City. April 11 -- Children of a Lesser God opens on Broadway, and Clay attends. April 13 -- Bold Blend once again features the conservative bloggers Diamond & Silk, talking about Facebook censorship, and Clay tries to mediate. Later in the day, Clay attends Variety's Power of Women luncheon with his BFF Meghan McClain in NYC. April 21 — Clay and Ben Cohn perform at a Gala celebrating 20 years of the Carolina Ballet. The Gala was held in Raleigh. April 30 -- He's back on Huffington Post! Clay writes a piece entitled "Ada Vox Lost "American Idol" Because She Wasn't the Best Singer. Period." May 2 -- Ruben Studdard sings Luther Vandross in concert at Westbury, NY, and Clay attends the show. May 11 -- Bold Blend covers a wild variety of topics, and Carrie and Clay have fun with motivational speaker Rick Rigsby, author of "Confessions of a Third-Grade Drop-Out." They also talk to Amy Chua, author of "Political Tribes." May 18 -- Clay and Carrie return for a second week on Bold Blend. Cameron Esposito stops by to discuss her series "Take My Wife," and CNN analyst Sally Kohn talks about her book "The Opposite of Hate." May 25 -- Clay "runs the show" today, along with guest host Kristin Tate. There is an interesting discussion about the new NFL ruling regarding players and the National Anthem. June 8 -- After a week off, Clay is back with Carrie on Bold Blend. The main topic of discussion is the previous Tuesday's primaries and what they mean for both the Democrats and Republicans. June 23 -- Clay sings! A Facebook Live of "Yesterday," accompanied by Ben Cohn. August 10 -- A Facebook sighting in Raleigh makes fans relieved! 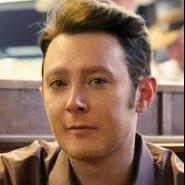 He attends a Dwight Yoakam concert. August 18 — Philadelphia represents! Clay shares the song “Unchained Melody” from the city, with Ben Cohn on piano. September 1 -- Clay attends the funeral of Senator John McCain (R-AZ), to support his good friend, Senator McCain's daughter Meghan. September 28 -- The premiere of "New Dogs, Old Tricks" on Amazon. This weekly series is a spin-off of a movie entitled What Happened Last Night, and Clay plays Nathan, a college resident director. October 5 -- Clay stops by the National Inclusion Project Gala preparty. October 6 -- 15th annual National Inclusion Project Gala, held in Raleigh, NC. Since 400 seats were sold, Clay recreated the set from the Independent Tour! October 9 -- A dress rehearsal of Harvey Fierstein's Torch Song on Broadway is held, and it's open to celebrities. Clay attends! 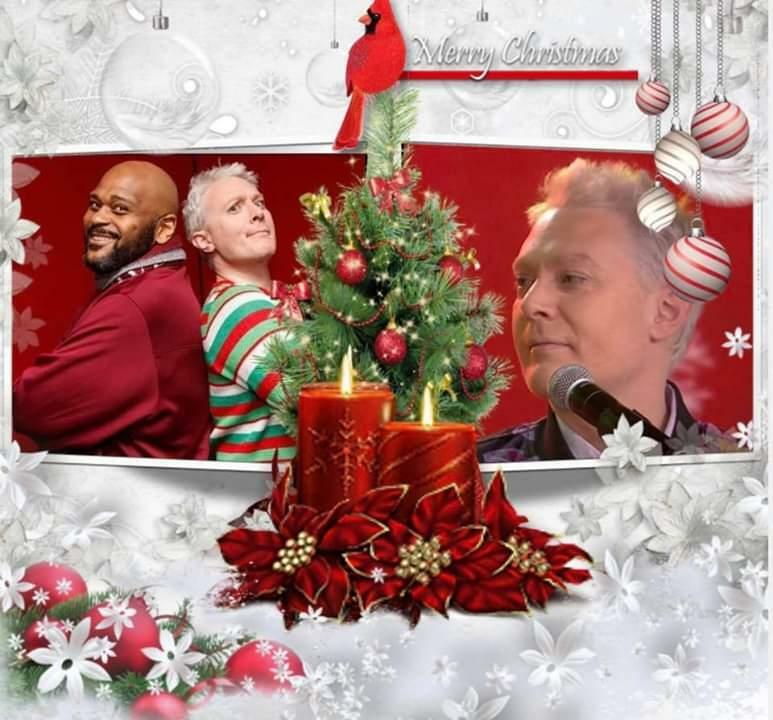 October 28 -- Meghan McCain on The View (ABC) gets the pleasure to announce "Ruben & Clay's First Annual Christmas Carol Family Fun Pageant Spectacular Reunion Show" (hereafter known as RCCS), bringing Clay Aiken and Ruben Studdard together on Broadway. The show will be at the Imperial Theatre. Soon after the announcement, a major publicity push occurs, including rubenandclay.com, and all the requisite social media. October 20 -- Clay appears at Politicon (Los Angeles, CA). He's on a panel entitled "Making a Candidate;" other panelists include Bakari Sellers, David Frum, Dr. Jason Johnson, and Richard Fowler. Later, he hosts a screening of Adam Carolla's new film No Safe Spaces. Clay moderates a question and answer session with Adam. October 21 — Day two of Politicon. This time, Clay is part of a Town Hall Forum with conservative Tomi Lahren. November 15 -- Both Clay and Ruben attend the premiere of "The Prom" on Broadway. Clay's friends Beth Leavel and Chris Seiber are in the cast. November 16 -- "BUILD Series NYC" hosts Clay and Ruben in a live streamed event to discuss the Broadway show. They also appear on 3 different Sirius XM channels (Entertainment Weekly -- 2 different shows, Stars, and Insight), sharing their humor as a duo. November 19 -- Ruben & Clay's Christmas Show is featured as part of "Broadway Under the Stars," a free event at The Shoppes at Columbus Circle in New York City. They also spend time handing out gifts at the opening of the in-person ticket sales at the Imperial Theater at 1 pm that day. Finally, there's an appearance on PeopleTV. November 25 -- According to Facebook, Clay attended the Broadway musical The Band's Visit. December 4 -- The Adam Corolla radio show has an interview with Clay -- mostly about their time on Apprentice, but some about the Broadway show. December 5 -- Clay and Ruben collect toys at Rockefeller Center for the Today Show toy drive, and talk with the crew for a few minutes. December 7 — The final push for publicity, with an appearance by both Clay and Ruben on The View (ABC), probably taped because of a delay because of the funeral of President George H.W. Bush. They also show a "preview of the preview" on Facebook Live via the American Idol FB page (?!?!?!). That night, previews begin for the RCCS. December 8 -- RCCS shows at 3 and 8 pm. December 10 -- Final preview RCCS show at 7 pm. There's also an appearance from the guys on Pickler and Ben (syndicated). December 11 -- Red carpet premiere of RCCS! Friends in the audience include Keala Settle, Quiana Parler, and all the ladies from The View, including Clay's good friend Meghan McCain. But before the premiere, Clay and Ruben did a few radio interviews in NYC, including WLTW 106.7. Also, many print reviews come out on this date, including a decent one from The New York Times! December 12 -- Ruben and Clay make an appearance on the Today Show with Kathie Lee and Hoda. There was also an appearance on New York Live. Plus, publicity from opening night (including pictures from the party afterwards) appears in most Broadway sites. Finally, the ladies of The View talked about the show on their program -- and they gushed, hard. Whoopi in particular was smitten. December 13 -- RCCS show at 7 pm. Idol alum Tamyra Gray attended this performance. December 14 -- RCCS show at 8 pm. December 15 -- RCCS shows at 3 and 8 pm. In the morning, though, an appearance of both Clay and Ruben on Fox and Friends, singing "Have Yourself a Merry Little Christmas." December 16 -- RCCS show at 3 and 7:30 pm. December 17 -- RCCS show at 7 pm. Another bit of publicity is broadway.com's Live at Five, which is on Facebook Live, but also as a podcast. December 19 -- RCCS show at 7 pm. Clay and Ruben also appear on the Wendy Williams Show (syndicated). December 20 -- RCCS show at 7 pm. Saturday Night Live star Kate McKinnon attended this performance. December 21 -- RCCS show at 8 pm. We also find out, via an Instagram post, that Whoopi Goldberg sent the entire cast Christmas sweaters! December 22 -- RCCS shows at 3 and 8 pm. Clay's friend and supermodel Tyra Banks attended one of these performances. December 23 -- RCCS shows at 3 and 7:30 pm. December 25 -- RCCS show at 7 pm. December 26 -- RCCS shows at 3 and 8 pm. December 27 -- RCCS show at 7 pm. Another Idol alum, Melinda Doolittle, attends this performance. December 28 -- RCCS show at 8 pm. December 29 -- RCCS show at 3 and 8 pm. December 30 -- RCCS show at 3 pm and the final show at 7:30 pm. Love the new banner! Gorgeous! Thanks for the Timeline and the new banner, ldyj. October, November, and December he got really busy!! These last few months have been really fun with Clay! Besides the fact that it’s a new year I feel like the Christmas show with Ruben started a new chapter on this journey I’m looking forward to seeing what happens this year! Clay also tweeted this out. Hubby and I made it to NYC's ball drop, even though we're in Illinois. Figured "close enough..."
This morning my church organized and delivered 150 meals to shut ins. Felt good to bring some brightness to people today.